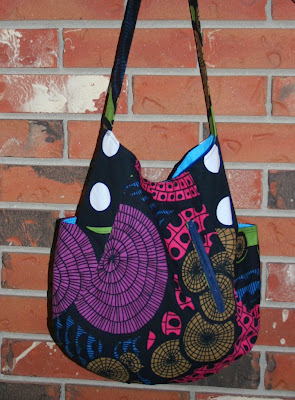 I have been working on my bags/totes, I may have gotten a little over ambitious, but it is all good. As of last night I completed 4 - 241 Totes (pattern by Noodlehead). 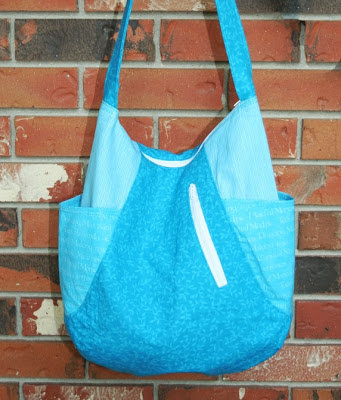 It is a really simple pattern, quick and easy to assemble and really cute! 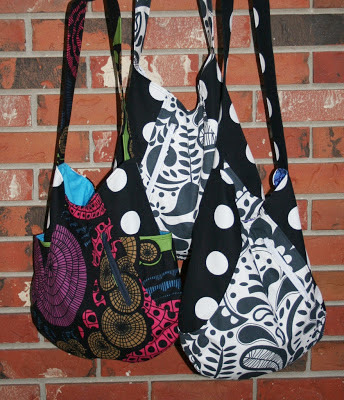 Three of the six bags I have completed are here. The fabric is from IKEA and the black and white ones look SOOO much cuter in real life. Two of these bags will become teachers gifts. Better picture of the colourful one! The next one also looks better in person, although it does hang differently because I added a top zipper. I did not plan the zipper well, but it turned out okay, I hope at least. This purse went to my Mother-in-Law. I still have two more ready to go, one is another gift, then I will have two to find homes for. I actually made the top one, but have a similar one ready to go. I have two more teachers gifts to go. One is getting a bird tote, like the one I made here and the other is getting homemade chocolate chip cookies. They are on my to do list tonight. Last day of school is almost here!! I am linking up with WIP Wednesday at Freshly Pieced, so I will add my WIP list of 2013. My Daughter's Farmer's Wife quilt :: 20 of 35 completed blocks, plus partial blocks. I am dedicating Saturday to making headway on this. Lark Kaleidoscope quilt :: fabric's stashed away, just need the courage to start it to finish number 1. on the list first.